George Pino, SIOR, RPA, has a track record of commitment to building long and lasting relationships with each of his commercial real estate clients. Mr. Pino has been involved in some of the largest lease transactions, sale transactions and land purchases in the South Florida area over the last 25 years. He possesses over 25 years of real estate brokerage, land development and property management experience. He has experience in every aspect of commercial real estate including representation of both sellers and purchasers in office, industrial and vacant land as well as investment analysis, marketing and development of such properties. Including over $1.5 BILLION in sales and leasing transaction volume totaling over 26 million square feet. As President at State Street Realty, Mr. Pino has been and is currently responsible for the successful and expedient lease-up and sales of office and industrial real estate such as Beacon Centre Business Park (1,800,000 SF), Airport Business Industrial Center (530,000 SF), Blue Lagoon Business Park (325,000 SF), Beacon Tradeport Industrial Park (3,100,000 SF), Miami Industrial Business Park (85,000 SF), Westside Office Plaza (500,000 SF), Transal Office Park (150,000 SF) and for the leasing and marketing of the new Beacon Lakes Industrial Park project (6,000,000 SF). Since 1992, George Pino has established himself as one of the top commercial real estate professionals in the South Florida area. As a result, he was named one of the Top 100 Power Leaders in 2012, 2013 and 2014 as well as a "2013 Business Person to Watch in South Florida" by the South Florida Business Journal. He has also been a four (4) time recipient of the prominent NAIOP Industrial Broker of the Year for 2009, 2010, 2011 and 2014, and was also named as a Finalist in 2012 and 2013 for the South Florida Chapter, as he completed over 900,000 square feet in lease and sale transactions with a value over $35 million in 2009 and he completed an impressive 1,000,000 square feet in lease and sale transactions with a value over $45 million in both 2010 and 2011. In addition, Mr. Pino was awarded the distinction of being recognized as a 2012 and 2011 Heavy Hitter in Commercial Real Estate by the South Florida Business Journal, 2010 Real Estate Forum 40 under 40 as one of the top 40 real estate professionals under 40 years old in the US, 2009 South Florida Business Leader - Shakers & Movers Award and also one of Real Estate Florida Magazine's 40 Under 40, as one of the top 40 rising stars under 40 years old in commercial real estate in the State of Florida. He was also named a 2009 Commercial Broker-All Star in the State of Florida by Real Estate Forum, as one of the Top 25 commercial real estate brokers in the State of Florida. Also, he has been awarded the prominent "South Florida Broker of the Year - Top Producer" in 2010, 2009, 2008 & 2007 at FLAGLER. Mr. Pino has also earned the "Broker of the Year - Most Transactions Recognition" which is presented to the FLAGLER Broker who has closed the most sales and leasing transactions in a certain year. In 2010 (85 transactions), 2009 (83 transactions), 2008 (72 transactions), 2007 (85 transactions), 2006 (82 transactions), 2005 (92 transactions), 2004 (78 transactions), 2003 (68 transactions), and in 2002 (72 transactions). Mr. Pino was one of only 15 commercial real estate professionals selected nationally as an ONCOR International Top Producer in 2007. In addition, the Miami Today and Costar have named him as top commercial real estate broker in the region. Mr. Pino routinely earns the Broker of the Month recognition and receives recognition as a "Deal Maker" at Flagler Real Estate Services. In addition, Mr. Pino received the Deal Maker Award from Daily Business Review numerous times during the years 2004-2010 as well as the prominent Costar Power Broker Award for 2003 thru 2015. Mr. Pino was named the "2011 Featured Broker" by Prologis, the largest industrial REIT in the world. George is focused on protecting his clients from needlessly high occupancy costs through thoughtful strategic planning, tenacious negotiation, and rigorous management of the lease throughout the lease term. His strategic mindset helps his clients plan for the future and unlock capital through properly structured transactions. Prior to opening State Street Realty, Mr. Pino was Senior Vice President at Flagler Real Estate Services / Codina Group for 20 years responsible for the property management and leasing of over 4 million square feet of office and industrial space in the Miami-Dade County area. Prior to Flagler, Mr. Pino was Real Estate Manager for Tecton, Inc. - Miami. He managed residential and commercial real estate, which consisted of 500,000 square feet in the South Florida area. Mr. Pino also handled all property disposals for the United States Marshals Trust Corporation. Mr. Pino is a life long resident of South Florida and is fluent in both English and Spanish. He holds a Florida Real Estate Sales associate license, Society of Office and Industrial Realtors (SIOR) designation and Real Property Administrator (RPA) designation. 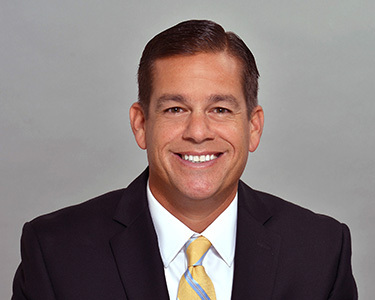 His professional affiliates and community involvement include: Orange Bowl Committee - Member, 2011-2019 Board of Directors - Commercial Industrial Association of South Florida (CIASF), National Association of Office & Industrial Properties (NAIOP), Building Owners and Managers Association (BOMA), South Florida Office Brokers Association (SFOBA), Ronald McDonald Childrens House, Redlands Migrant Family Association, Florida International University (FIU) School of Real Estate and Mike Lowell Charity Foundation. In addition, Mr. Pino serves on the Advisory Committee and is a member of the Ocean Reef Club in Key Largo, Florida. Senior Member for the American Institute of Industrial Engineers. For over 25 years, Jorge E. Pino has worked in both operations and financial management with a proven track record of excellence. As a highly qualified financial executive, Jorge has been an asset to every company he has worked for delivering results by maximizing productivity, implementing effective financial controls and achieving bottom-line results in highly competitive industries. His experience as a Senior Executive has been in a variety of international and domestic business environments firms including Aviation for both passenger airlines and airfreight companies, management consulting, real estate and distribution including warehouse, fleet shipping and inventory management. 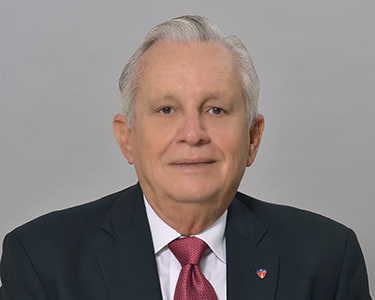 As the founder and principal broker of Pino, Fernandez & Associates, Jorge was in charge of directing and managing all aspects of full service residential, commercial and industrial real estate brokerage operations including tenant representations, high-end residential and commercial sales, investment analysis and project financing. Under his firm, he was responsible for coordinating major multi-million dollar deals such as the relocation of a major Chicago organization to South Florida into a 50,000 square foot regional facility, the purchase of a 67,000 square foot structure to be used as the Florida headquarters to a publicly traded Insurance Conglomerate, and the assembly and representation of a group of commercial property investors in their portfolio exceeding $25 million. Jorge now joins the team at State Street Realty to bring all his years of experience and proven results to lead the financial and operational management of the company. Jorge has an Industrial Engineering degree from the University of Miami and is a Licensed Real Estate and Mortgage Broker, and Registered Professional Engineer with the State of Florida. He is fluent in both English and Spanish and has been a South Florida resident since 1960. His affiliations include Chairman/Board of Directors for Kids Hope United, Board of Directors for Latin Orange Festival, Associate for the Realtor Association of Greater Miami and Beaches, Trustee for Greater Miami Chamber of Commerce Leadership Miami and Senior Member for the American Institute of Industrial Engineers. Ed Lyden has devoted his entire career in Commercial Real Estate working with landlords and tenants in South Florida to leverage his market knowledge, research, and analysis to provide solutions to unique real estate and business challenges. Having been a part of the Miami real estate industry for over 20 years, he has been a valued partner to those seeking Industrial Real Estate solutions. From helping high-level decision makers meet business and financial objectives and optimize real estate efficiencies, to reducing overall operating costs, Ed is a "go to" resource in the South Florida marketplace. The reputation Mr. Lyden has built over the years for service, commitment, and results demonstrates the credibility and experience he offers clients. He is motivated by his client’s top-line growth and is always focused on their goals and objectives. Clients choose to work with him because he brings a vast network of relationships, passion for the industry, and track record of success delivering multi-million dollars in cost reduction. Ed is focused on protecting his clients from needlessly high occupancy costs through thoughtful strategic planning, tenacious negotiation, and rigorous management of the lease throughout the lease term. His strategic mindset helps his clients plan for the future and unlock capital through properly structured transactions. Mr. Lyden holds a Bachelor of Business Administration Degree in Finance from Florida International University. He resides in Pinecrest, Florida and is a native to South Florida, as well as an active member of the community. Mr. Lyden serves as a 15-year member of the Commercial and Industrial Association of South Florida (CIASF), is a former co-producer of the CIASF Annual Industrial Market Report, a member of the Association of Operations Management (APICS) and is a Certified Supply Chain Professional having studied at FIU’s Ryder School of Business. As Vice President, Trelles will be responsible for new business development, investment sales, tenant and landlord representation and market research. Trelles has been a top-producer in the South Florida commercial real estate market for the last 11 years. Trelles is dedicated to helping people sell, buy or lease commercial properties. Throughout the years, he has developed a talent for identifying trends and anticipating the market, which allows him to match his clients with the investment that best suits them. By helping clients to grow their businesses and get excellent returns on their commercial real estate investments, Frank continues to build strong, long-lasting relationships in the industry. Frank is focused on protecting his clients from needlessly high occupancy costs through thoughtful strategic planning, tenacious negotiation, and rigorous management of the lease throughout the lease term. His strategic mindset helps his clients plan for the future and unlock capital through properly structured transactions. Trelles has closed over $550 million dollars in commercial transactions in his career. Because of his great success, Frank has been honored as a Power Broker by Costar. This prestigious award is only given to the top commercial brokers in the country. Frank joins State Street Realty from Cornerstone International Realty, where he most recently served as Executive Vice President. Previously, he was a Senior Associate at Westvest Associates. As a Commercial Sales & Leasing Associate, Brian is responsible for new business development, tenant & landlord representation and market research. He also assists and trains with the firm’s lead brokers, Ed Lyden, Frank Trelles, SIOR and George Pino, SIOR, on various leasing and sales assignments. Brian joined State Street Realty after having served as a Registered Client Associate at Merrill Lynch where he supported the team of a Managing Director and Senior Financial Advisor managing the wealth of ultra high net worth investors from Latin America while identifying business and investment opportunities on a value added basis. Brian was selected by the editors of Real Estate Forum as an Emerging Industrial Leader, profiling professionals aged 35 and under that have exhibited exceptional performance in the industrial real estate sector. 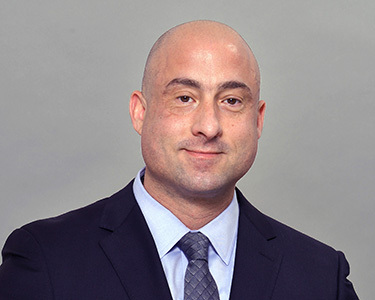 As a Miami native, Brian has “deep roots” in the local community having graduated from Florida International University and Belen Jesuit Preparatory School with a specialty focus on Finance. Ana C. Lopez has been a part of the State Street Realty team since its inception. As the marketing manager for State Street Realty, Ana is responsible for the development and execution of marketing programs such as direct mailings, social media campaigns, preperation of promotional materials, as well as event coordination. Prior to joining State Street, Ana was with the Codina / Flagler organization for over 20 years. During her tenure at Codina / Flagler she held various positions ranging from receptionist to executive assistant to the President of Development, General Counsel and CFO. The last 8 years she served as the marketing assistant to George Pino on the Prologis portfolio as well as other marketing assignments totaling more than 5 million square feet. Ana is currently responsible at State Street Realty for the the marketing and leasing of the South Florida office and industrial portfolio. Ana is fluent in both English and Spanish. She holds a salesperson real estate license from the State of Florida. She was born and raised in Miami where she now lives with her husband and two daughters. 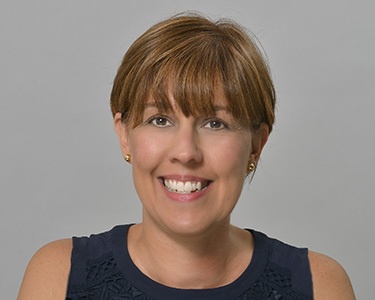 Cecilia Pino leads the State Street Realty team as Director of Public Relations as well she is a Residential Sales & Leasing Associate for the firm. 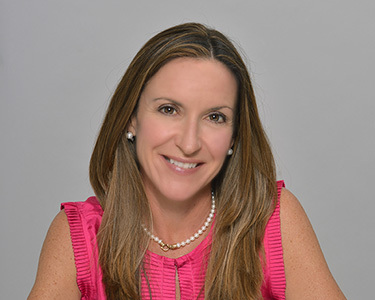 Prior to joining the State Street Realty team, Cecilia worked as Account Executive at one of South Florida's premier public relations agencies, The Pantin Partnership. She handled prestigious accounts such as McDonald's, Ford and the Ronald McDonald House Charities. She has also operated as Billing Director for Exceptional Vision and was a sales representative for one of the largest pharmaceutical companies, Schering Plough. As Director of Public Relations, Cecilia is responsible for spearheading the company's media campaigns and community outreach projects. She has a business degree in marketing from the University of Florida. Cecilia is fluent in both English and Spanish and was born and raised in South Florida.